Is Global Warming really happening? There are many voices in opposition to the theory and our guest today is just one of those. 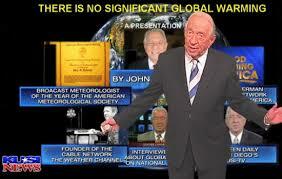 His name is John Coleman who was the original weathercaster on “Good Morning, America.” After that Coleman founded and served as CEO and President of the Weather Channel.